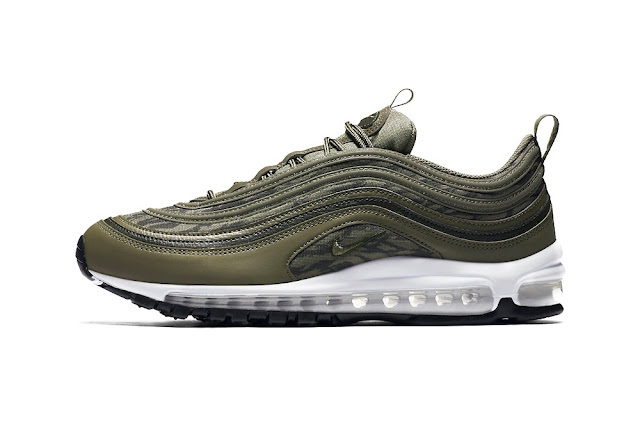 The Air Max 97 continues to prove its worth as one of Nike’s most coveted silhouettes — dropping in a barrage of bold colorway options just in the past few weeks alone. 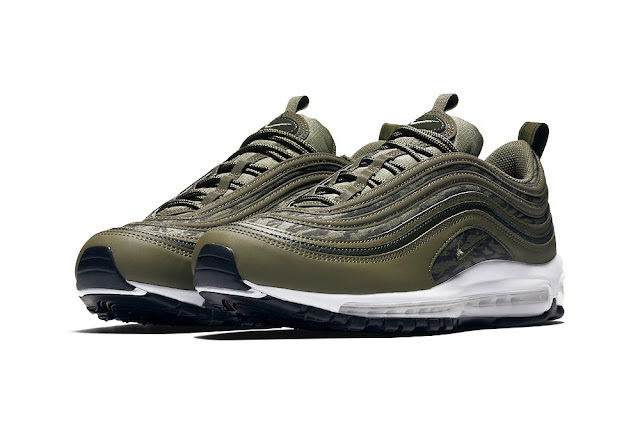 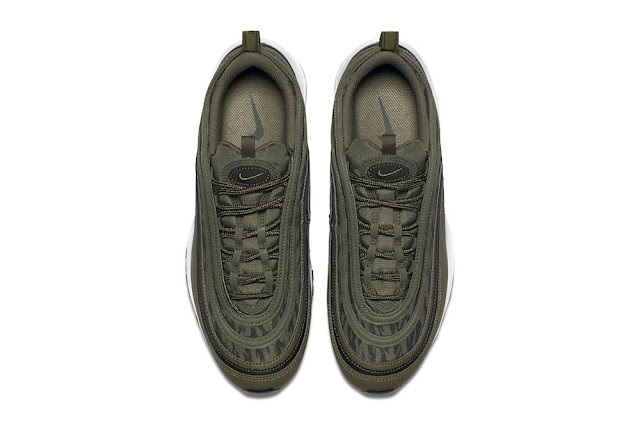 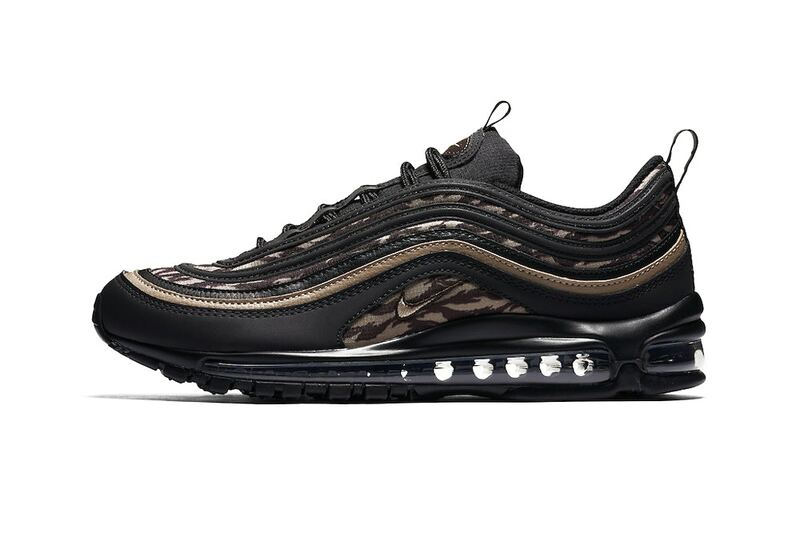 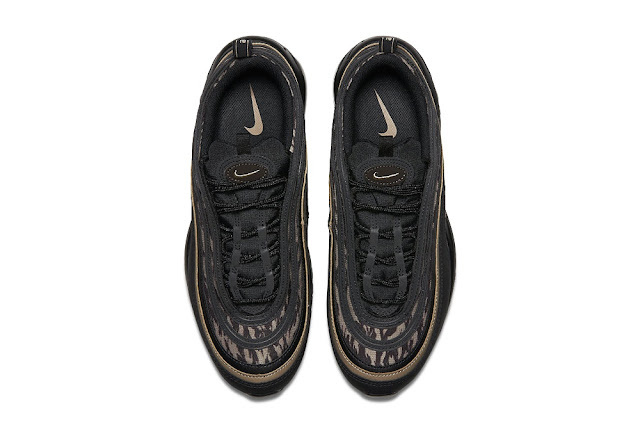 Earlier spotted in a “Pull Tab” pack alongside its AM95 counterpart, the Air Max 97 has since surfaced in another themed pack, this time sporting “Tiger Camo” vibes. Both versions, one dressed in “Black/Khaki-Velvet Brown” and the other in “Medium Olive/Sequoia/Black” highlight the distinct military-inspired print in between the wavy base lines, while jazzing up the mini side panel Swoosh. 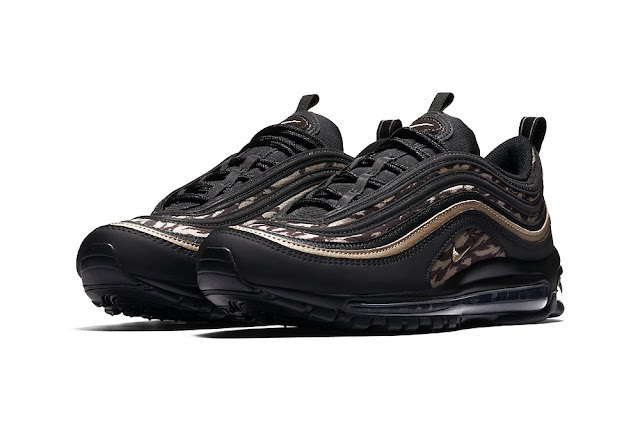 Although release info still has yet to be confirmed, you can expect the Nike Air Max 97 “Tiger Camo” pack to arrive sometime later this year.